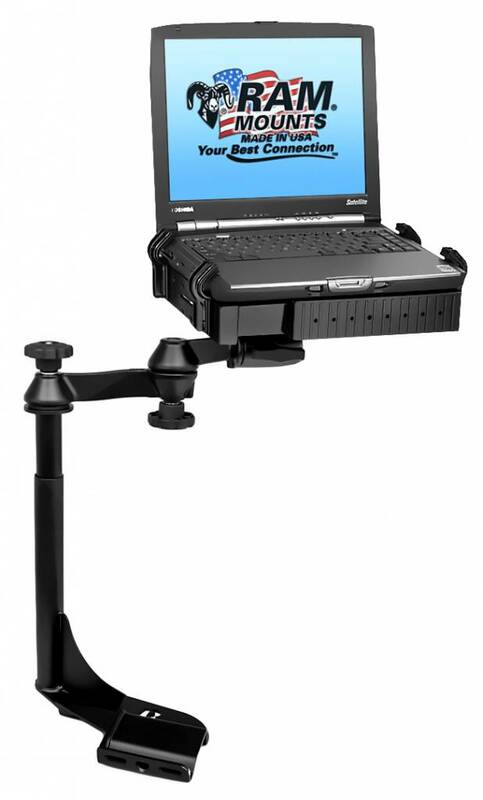 VW Kever Laptop No-Drill montage heavy-duty set met keuze optie voor laptop tray montage. 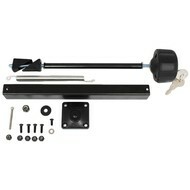 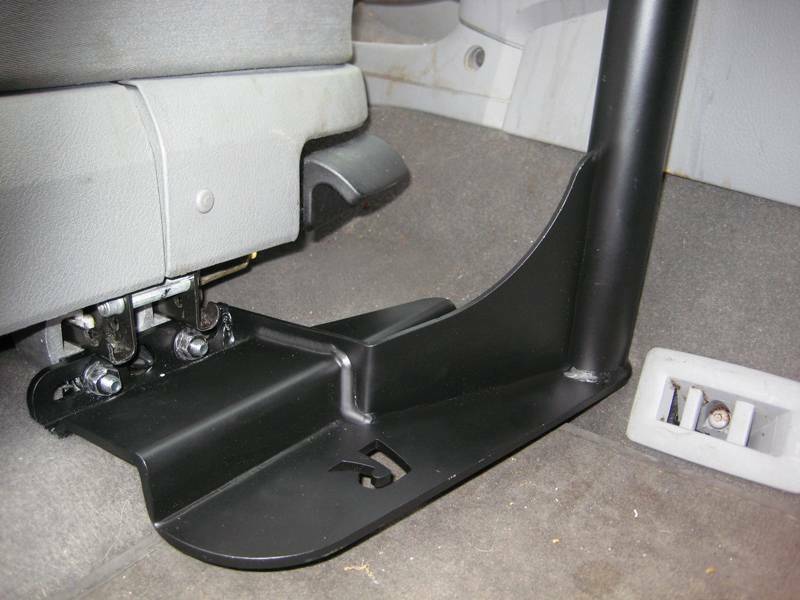 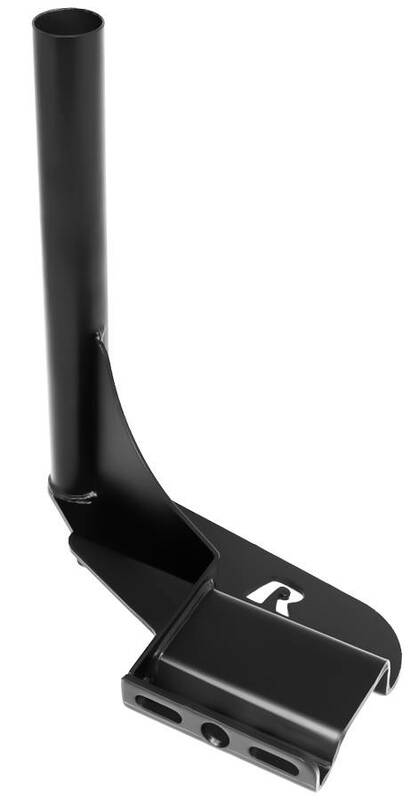 Inclusief Swingarm base met female Tele-Pole. 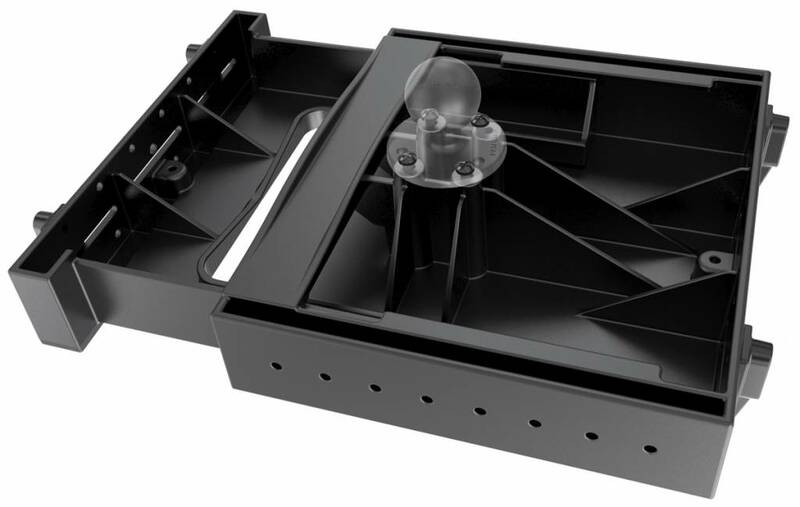 Laptoptray met rechte klemmen. 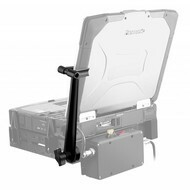 De klep van de laptop kan zo ook gesloten worden. 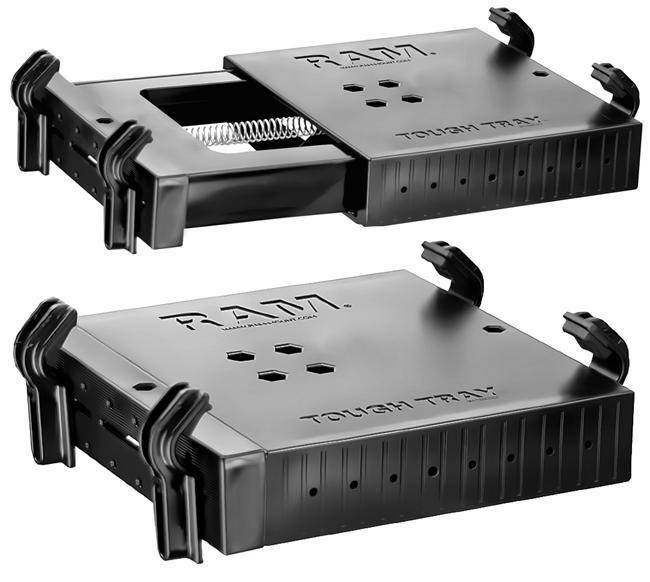 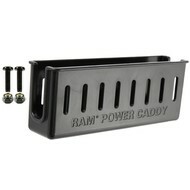 The RAM Tough-Tray™ is spring loaded expandable tray that can accommodate 10 to 16 inch wide laptops. 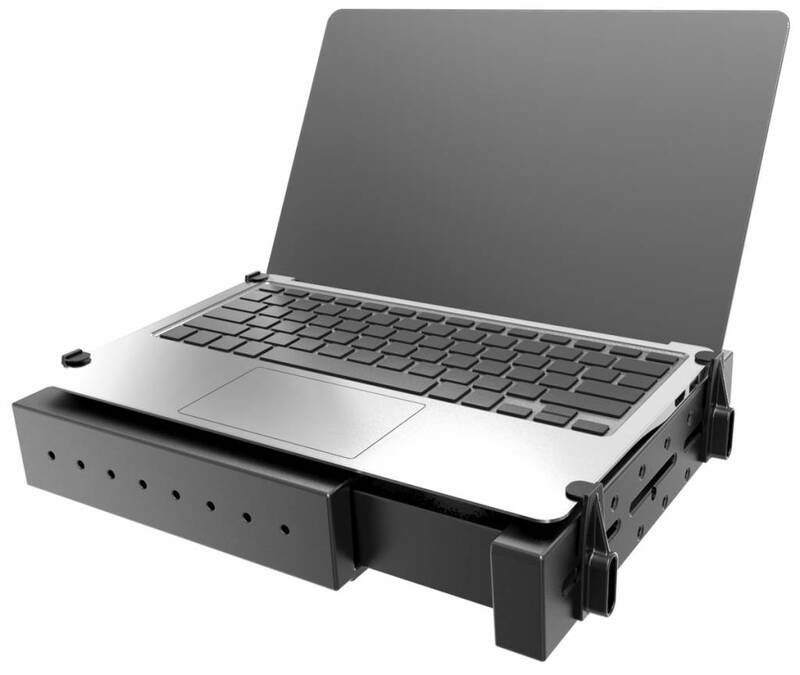 The tray includes four FLAT (4) side clamping arm; they allowing for your laptop to close completely while in the tray.. 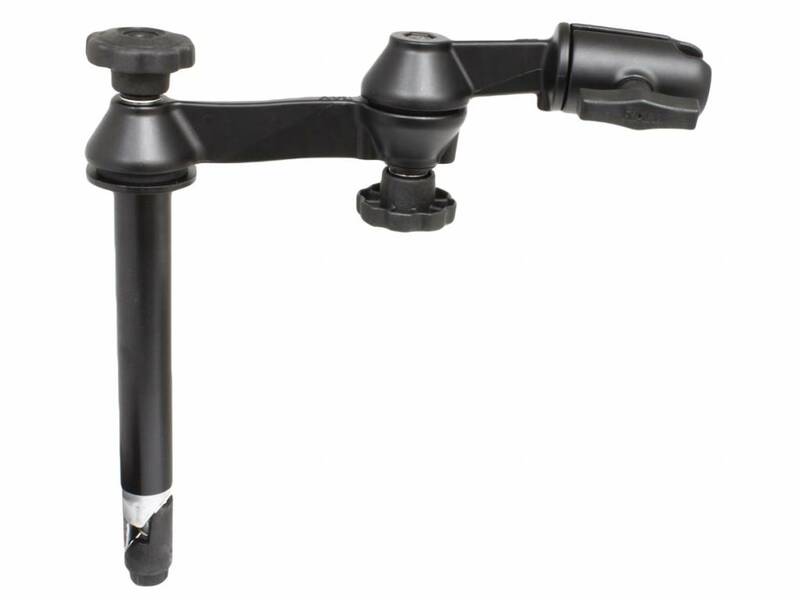 These arms can be moved both vertically and horizontally. 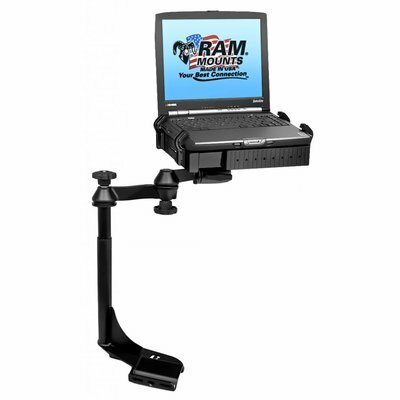 This allows for a custom fit for varying thicknesses of laptops and the freedom of not blocking ports or drives. 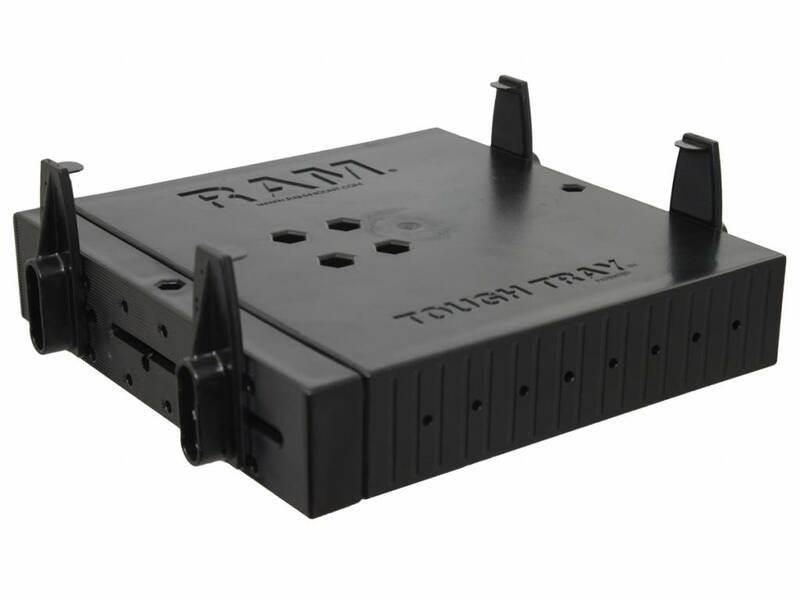 Hole patterns on perimeter of tray facilitate the mounting of additional RAM systems to support GPS, PDAs or other electronics. 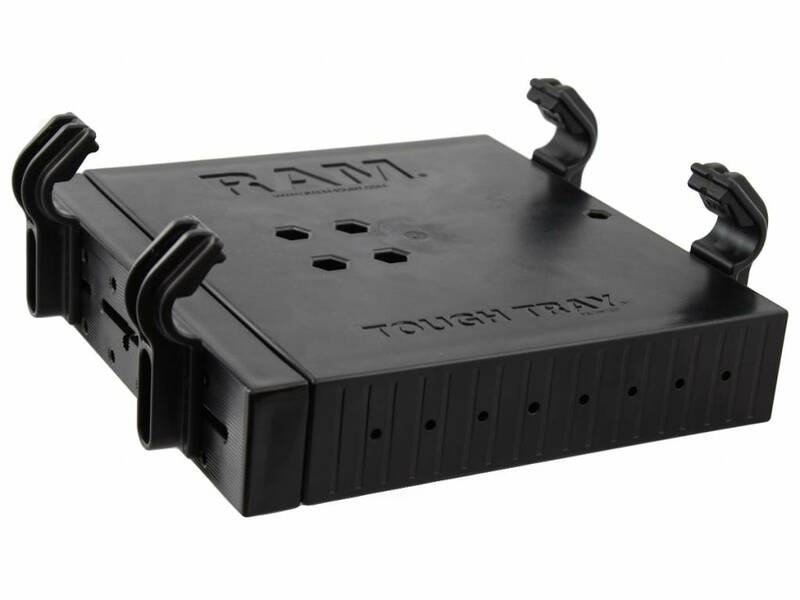 Kan naar wens ook iPad of tablethouder op gemonteerd worden dankzij de RAM-C-kogel.